to win one of the above stamp sets! Just comment on the following blogs (don't forget this one), each day for more chances to win! (You do NOT have to comment on all the blogs each day! The names are drawn randomly!) 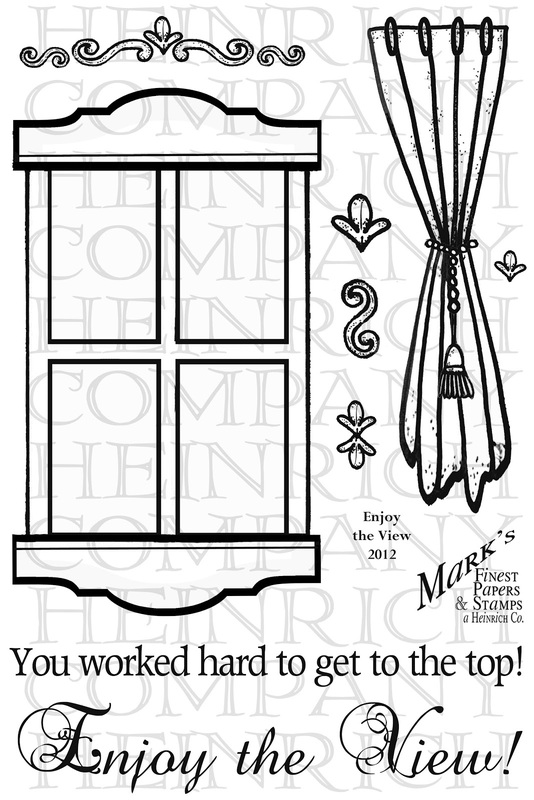 All four winners will be announced on October 27, 2012 on the Mark's Finest Papers blog. You can go back and comment if you missed a day. (HINT: The more you comment, the more chances you have to win and comments on the MFP blog count twice!) The deadline for commenting is 11PM EST on Friday October 26, 2012. Hi Ho, Hi Ho it's off to stamp we go, with some great new releases this month. 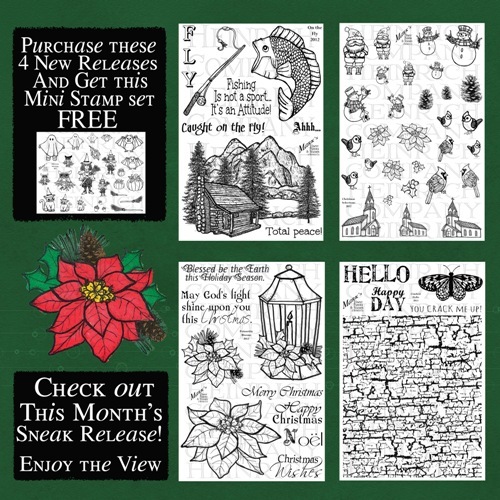 Looking to get your Christmas Cards done early, well we have the stamp sets for you! 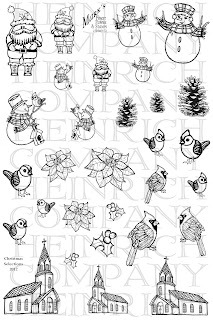 Today we are showcasing our first stamp set for the month of September which is called "Christmas Selections"
Here at Marks Finest Papers, a Heinrich Co, we are blessed to have some really talented ladies on our team. They have created some samples for your inspiration. Some great projects and lots on the hop too! I saw a lot of creation today. Great job with this cute set of small images! Saw some great ideas. thanks fellow team members. All of the cards are beautiful! I would love to have that Christmas set! 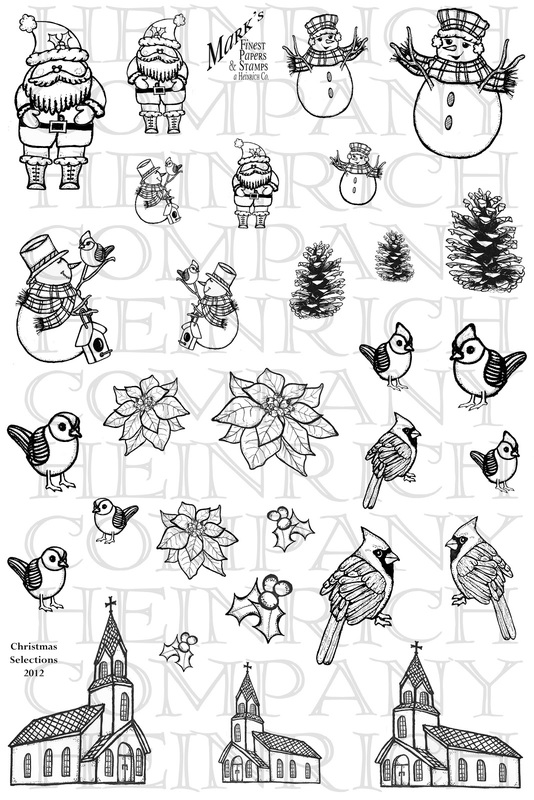 The Santa and the snowman with the little bird are darling! All of the images are great! GREAT hop ladies!!! Love the new stamps! beautiful creations! I love these new stamps! Wow, lots of inspiration shared on today's hop - and awesome and lovely projects!! What cute cards by the DT. I really like the coordinated card sets. The Enjoy the View stamp set looks fantastic!! Fabulous samples today for a darling new set! What a great collection to release at this time of year, so versatile! 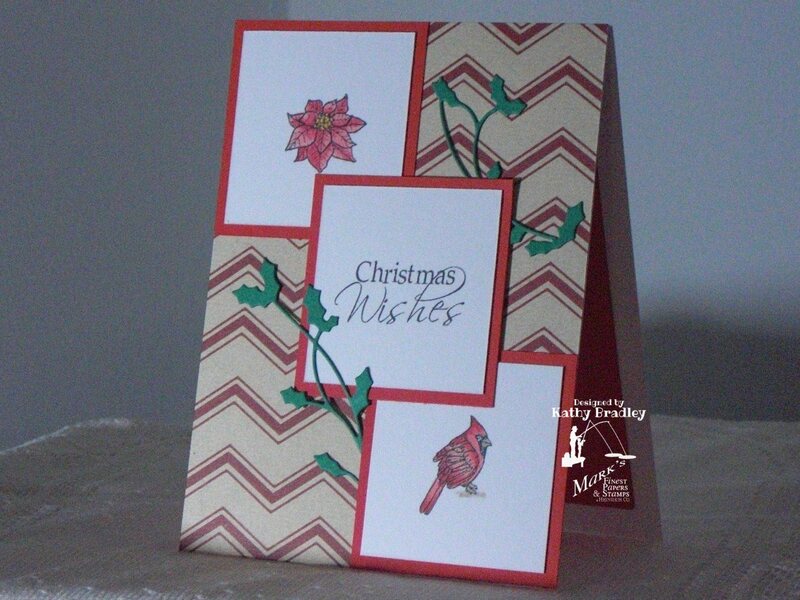 Very versatile set and great examples on the blog hop. Love the new With a View! Tons of possibilities! The Mini Christmas stamps are going to be fun too! 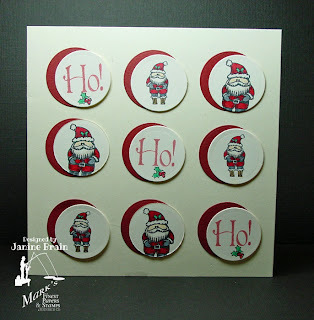 The tiny images would be great for small gift tags. Great DT projects. 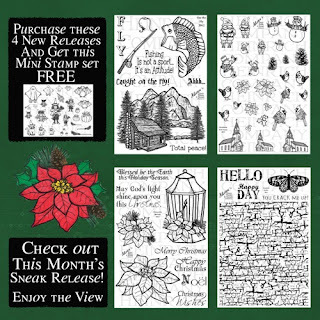 Very cool new stamp sets and the blog hop gives some great ideas. Great projects to start the hop. 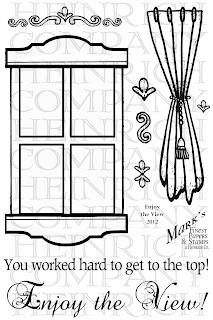 And lots of inspiration when your finish hopping. Oodles of inspiration here, awesome cards. I love all the cards and the great ideas!! This is a great blog hop and the new sets have images that will become favorites. These are adorable sets. Can't wait to see what everyone came up with. These are so cute! Love the little images that can be used in so many ways.